Where do our Campers come from? Free camping to the workers and we’ll feed you Saturday lunch too. We’ve got a long Project List and looking forward to having many hands help out with checking off a bunch of items. Here is a list of some of the major items for our Work Day. This list may change as items are added before April 28th. Ranger Mike Mazur and our Camp Chair, Peter Smith, have been creating a pollonation area in the NE Field. Last Spring they roped off an area and started planting seeds and bulbs. They dry July didn’t help, but several plants did come up and provided some energy into the Fall. On Work Day, we sowed seeds for the future. Milkweed, wild roses (Rosa Rugosa), lupins and poppies (Vimy edition). Please contact us if your youth want to help by sowing seeds, planting bulbs or building and installing bee cottages. Perfect projects for Section Awards projects. A heartfelt thank you to 4th Orleans Company, 1st Rockland Troop and 3rd Cornwall Troop, plus all the Rangers and other Odawa Scouters who came out to work. The big news is the rope bridge is back! Thanks to 4th Orleans Company for tying off the verticals and then getting the bridge set up. They got to be the first across, no feet got wet. The base of a new double-picnic table shelter at Kitchener Field has been levelled. Took a bulldozer to move the boulders that formed one of the many rock walls that exist throughout the camp. We got lots done before the snow blew in. We’ll see you on April 27th for the Spring Work Day. That’s the date for our annual Fall Work Day. 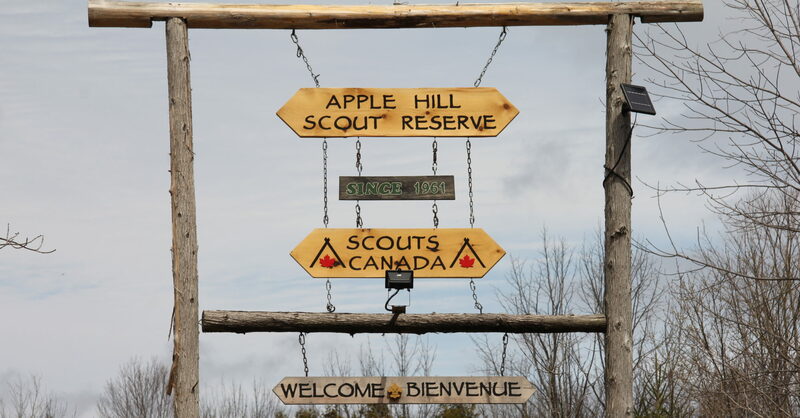 There will be a multitude of tasks to help get the camp ready for the Winter. Free camping to the workers and we’ll feed you lunch on Saturday. A list will be posted once it becomes available. There will be a variety of tasks appropriate for senior Scouts, Venturers, Rovers and Scouters. List of Work Day tasks is available below. If there’s something of interest to your Patrol, Company, Crew or team, then let Patrick know and he’ll put your name next to it. The Booking form has been updated for 2018-2019. To help make the calculations a bit easier, the rate for using either of the heated buildings is now the same rate for day-use or overnight. As of July 24th, the fire ban has been listed in North Glengarry county. 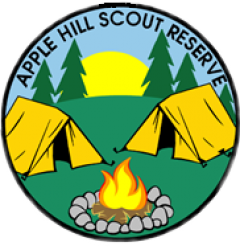 Apple Hill Scout Reserve is within the county, so any future burn bans apply within the camp property. When a burn ban is on, only camp stoves / lanterns or BBQs may be used. All open fires, including those in fire pans or hobo stoves, are not permitted.